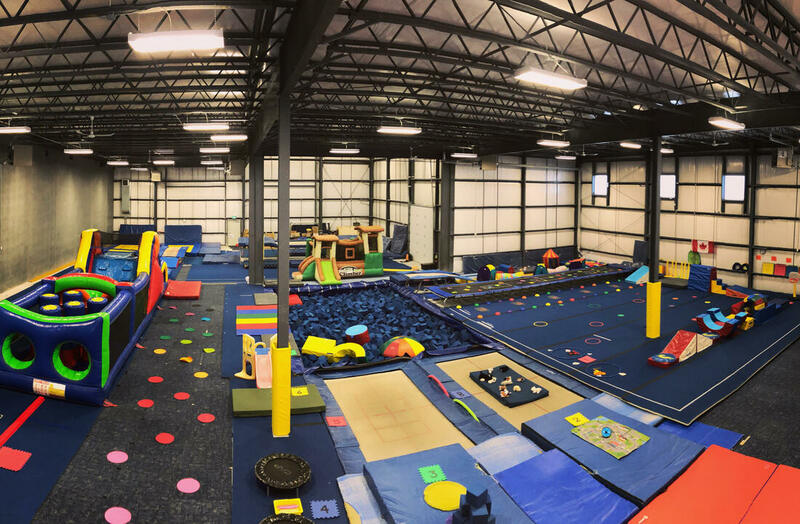 Join us for a day, or 2 or 3, or even all 4 days of trampoline and tumbling to keep kiddos active during the Family Week break!! These days are offered for current members only! That means if you have your AGF membership paid for this year, these camps are available to you! Taught by our NCCP and AGF trained and certified coaches, athletes will learn new trampoline tricks and tumbling skills. They will also have days filled with games, activities and play time. All camps are drop in days! Meaning that you don't have to pre-register a week before...you can register the night before!! Please make sure to pack your child a healthy, nut free snack and lunch if attending a full day camp. As well as a water bottle!! It is recommended to bring a warm sweater for the mornings while the gym is still warming up. Must have a minimum of 3 children to run each day, with a maximum of 20. THIS WILL BE OUR BEST SUMMER YET! The days are filled with instructional Tumbling and Trampoline learning, theme based crafts and games, fun fitness, outdoor games and water activities and of course, TONS of bouncing time in our inflatable obstacle courses! Athletes will leave the camp feeling accomplished, tired and sore! Working with our NCCP, Alberta Gymnastics Federation and Gymnastics Canada trained and certified staff, athletes will work through CanJump's skill progression testing. Starting with learning the fundamentals and safe approach to trampoline skills and then working towards those cool flippy twisty moves. All of our programming is designed to encourage T&T learning, strength and flexibility development and to increase spatial awareness and motor coordination. Our main focus is not just creating a love for the T&T sport, but a love for general health and fitness. For More Information about our Summer Camps, Summer Schedule, Prices, and to register CLICK HERE! ​Taught by one of our Competitive Team coaches, this camp is for those athletes who have a love for trampoline and tumbling. This week athletes will work on those skills such as front and back handsprings, airplanes, cradles, back and front trucks and barani drills. Recommended for those athletes who have attended one of our 3/4 classes or have had lots of experience in gymnastics programs. ​Taught by one of our Competitive Team coaches, this camp is designed for those athletes who want to focus on their tumbling skills. A great camp for gymnasts, tumblers,, cheerleaders and dancers. Athletes will spend the week perfecting fundamental skills such as handstands and round-offs, while challenging themselves with those harder skills such as back handsprings and back tucks. Camps will also include work on specific tumbling strengthening and flexibility. These camps filled last year! Book fast to secure your athletes spot! ​This is a great opportunity for teens who are interested in becoming a coach! In this camp, junior coaches will work with our certified staff to learn great leadership skills, coaching techniques, assist with games, activities and crafts. And of course get some bouncing time too! Must be 12/5 years old. Only 2 spots per week!! !